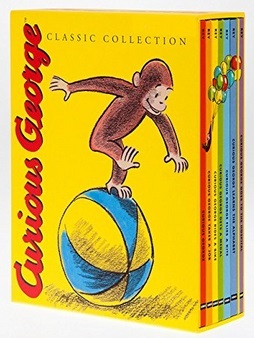 Home > Uncategorized > Curious George Classic Collection (Hardcover) Only $16.61 + Free Shipping From Amazon! December 5, 2018 Comments Off on Curious George Classic Collection (Hardcover) Only $16.61 + Free Shipping From Amazon! Amazon has the Curious George Classic Collection (Hardcover) marked down to only $16.61 + Free shipping. This handsome slipcased anniversary set includes all seven classic tales: Curious George, Curious George Takes a Job, Curious George Rides a Bike, Curious George Gets a Medal, Curious George Flies a Kite, Curious George Learns the Alphabet, and Curious George Goes to the Hospital, as well as a Curious George birthday party kit.